Summertime foods are so simple. 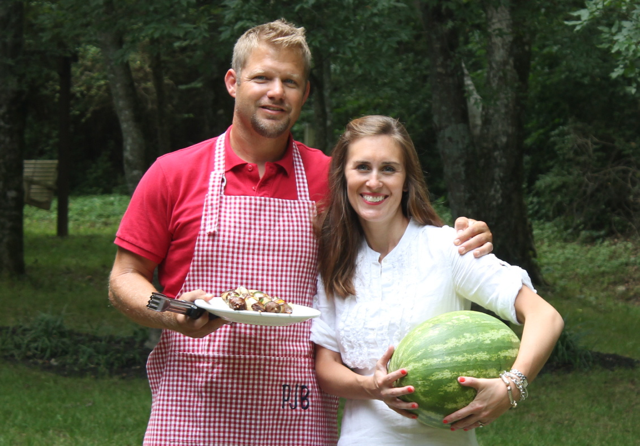 Grilled meat, fresh veggies and a cold sliced watermelon. What else do you need!? Just last week a dear friend told me that she has been entertaining a ton this summer because it’s so easy! I get it … it’s nice out, it’s not complicated to feed a crowd, the kids can run and play and it stays light for hours after dinner. It’s a party on the patio, no house cleaning necessary. 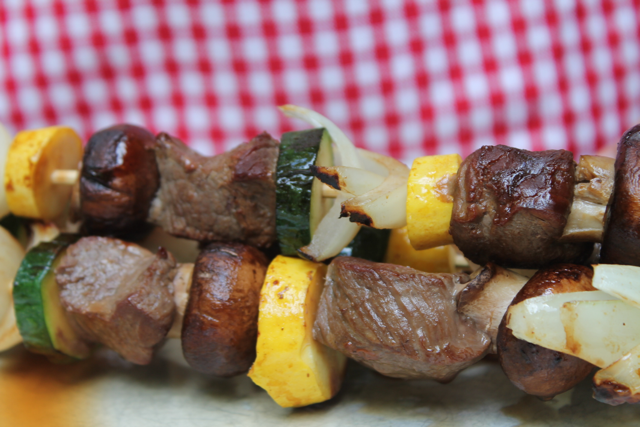 This weekend we put together venison and vegetable kabobs. So beautiful, healthy, fun and perfect for a crowd. 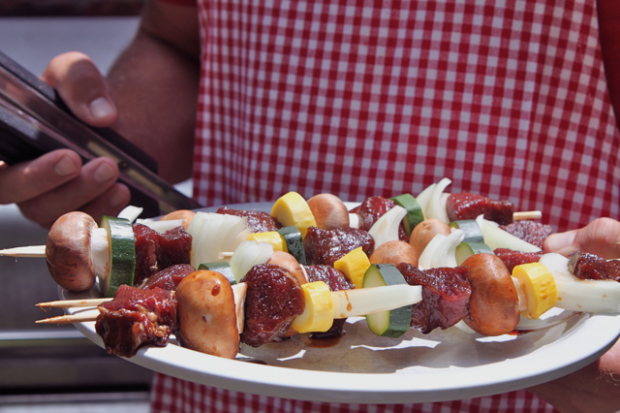 Our marinade of choice is always Dale’s. And we found that no other seasonings were necessary. 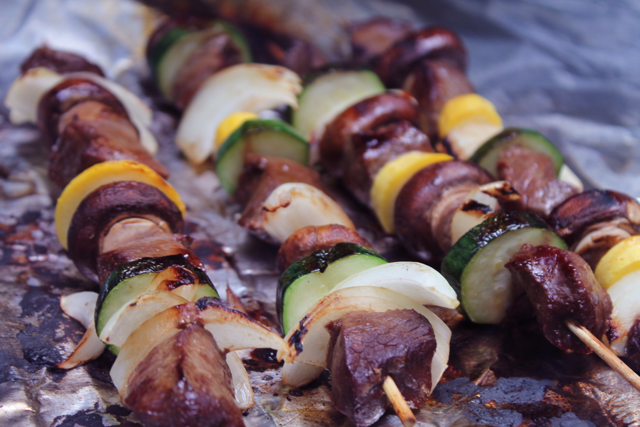 The vegetables soak up a bit of the sauce and juices while grilling so they are deliciously flavorful as well. Cook until the meat is medium-rare and the vegetables are tender, flipping occasionally. He’s got the meat, I’ll get the melon. Come on over.